SS Jess: Calling all Kennesaw State University students! Vote Shannon Franz for Homecoming Queen! 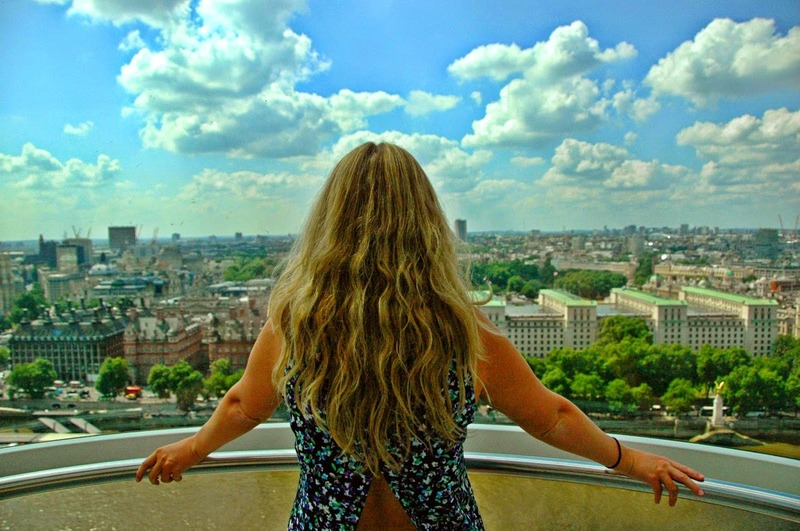 Two blog posts in a row about voting?! That's right! This week is Homecoming Week at KSU, and with Homecoming Week comes elections for this year's Homecoming Court. Gamma Phi Beta is lucky enough to have Shannon Franz as our representative for Queen, and we are campaigning away with hopes that she will be chosen for Homecoming royalty. Voting is open to all KSU students from now until 3 p.m. on Friday the 12th. All you have to do is log in to Owl Express, click on "Voting," then click on "Homecoming." From there you cast your votes and click "Submit Form," and you're good to go. It's a very simple process and shouldn't take but a minute of your time. 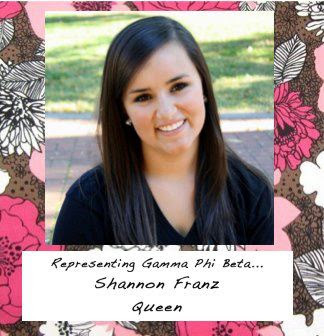 Shannon and all of Gamma Phi Beta would be honored to have your vote and support! And good luck to all the other candidates!